The Icefields Parkway winds through valley’s and over high passes surrounded by Glaciers, Mountains, Lakes, Wildlife and Waterfalls. Experience 2 National Parks at the right pace, from the seat of your bike, giving you a great balance of riding, sightseeing and relaxing. 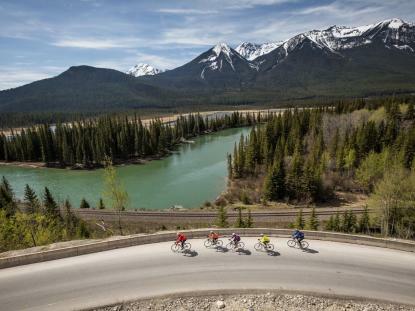 Our main cycling tour runs between Jasper and Banff over 4 days. If you have a group of 6 or more we can customize your tour. 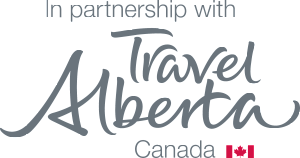 We have various itineraries ready to go weather you want to ride the route over 2 days, 6 days, Include Highwood Pass and Waterton for a 12 day tour, or ride from Vancouver to Banff over 16 days. Send us a note and we’ll design a tour just for you. 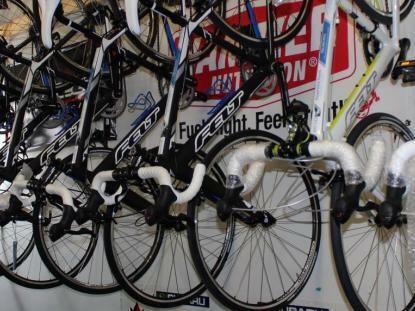 Edmonton’s only source for road bike rentals has arrived. Got friends coming to town and want to go for a ride? Looking back on my cycling season, the Mountain Madness tour from Jasper to Banff was definitely the highlight. The route was great with fantastic and varying views. The hotels and food were very nice. The support from Ben was good and his friendly / positive nature seemed set the tone for the whole group of riders. I really liked the I was free to ride at my own pace whether that was “all out” on some of the very long gradual declines or to stop as long as I liked to enjoy a view or just take it all in. This was my first supported cycle trip and what a great trip it was. It set a standard that will be very difficult for my next tours to equal. The trip ran perfectly without a hitch thanks to Ben’s organization and planning. Even as we cycled our way through pouring rain, Ben would be around the corner with a big smile and a thumbs up for encouragement. Thanks again Ben for an unforgettable experience.